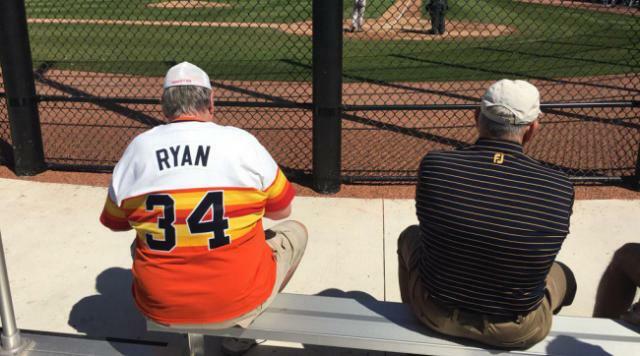 YAHOO Sports posted a picture of a man wearing a Nolan Ryan Astros jersey at a Astros minor league baseball game. The gentlemen is sitting two feet away from Nolan Ryan and doesn’t even realize it. Fans posted the picture on social network but never made the guy aware of it. They should of told him!